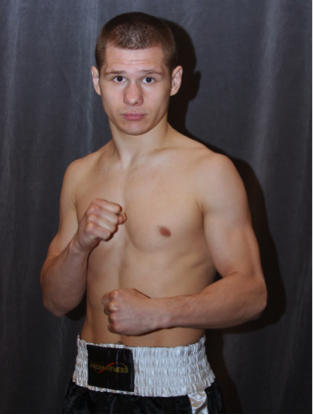 Evgeny Chuprakov (19-0, 10 KOs)–May be the most underrated fighter in the world. After a good amateur career in Russia, the junior lightweight turned professional as they say “under the radar”. He hooked up with powerful manager Vadim Kornilov, and the fighter known as “Happy Gilmore” took off. He has impressive wins over three undefeated fighters and a former world champion in Dmitry Kirilov. Chuprakov won the WBO European Super Featherweight title with a 8th round stoppage over Kirilov. He defended the belt twice, before taking the WBO Inter-Continental Super Featherweight title with a 12- round majority decision over previously undefeated Jeremiah Nakathila. Chuprakov is currently ranked number-3 in the world by the WBO.